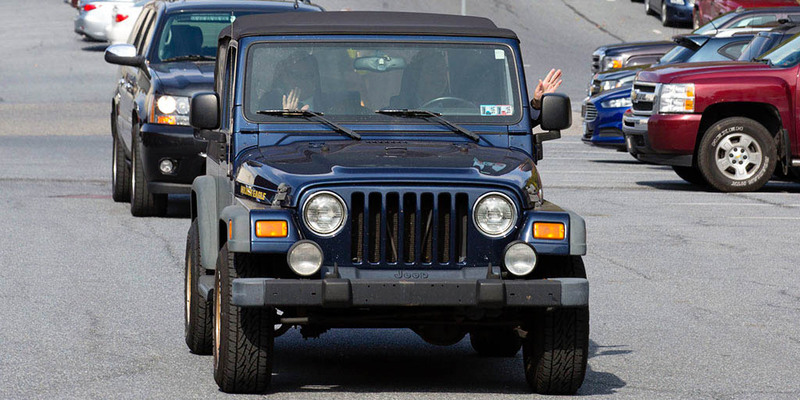 Harrisburg, PA – Governor Tom Wolf today announced that the Pennsylvania Department of Transportation (PennDOT) will distribute nearly $5.5 million in Automated Red Light Enforcement (ARLE) funding to 18 municipalities statewide to fund 23 safety projects. As part of the statewide investment, the selection team identified that $200,000 should be used to update the state Transportation Advisory Committee’s 2011 evaluation study on the ARLE program. Under state law, fines from red light violations at 28 intersections in Philadelphia supply the grant funding. Pennsylvania’s ARLE program aims to improve safety at signalized intersections by providing automated enforcement at locations where data shows red-light running has been an issue. The law specifies that projects improving safety, enhancing mobility and reducing congestion can be considered for funding. Municipalities submitted more than 194 applications, totaling approximately $41.5 million. Projects were selected by an eight-member committee based on criteria such as benefits and effectiveness, cost, local and regional impact, and cost sharing. This investment brings the total dollars awarded through the ARLE funding program since 2010 to $45.4 million, funding 298 safety projects. For more information, visit the traffic signals page under “Travel In PA” at www.penndot.gov, or email ARLE_Grants@pa.gov. City of Pittsburgh – $295,000 to replace the existing traffic signal at the intersection of Centre Avenue and Bigelow Boulevard and to install ADA curb ramps and curb extensions. Perkasie Borough – $108,588 to upgrade the existing traffic signal at the intersection of Route 4039 (Fifth Street) and Blooming Glen Road by installing a new traffic signal mast arm, relocating existing utilities, and installing new ADA curb ramps. Cranberry Township – $286,199 to provide pedestrian upgrades at the intersection of North Boundary Road and Marshall Road by improving pedestrian connections and new sections of sidewalk. Ferguson Township – $498,900 to implement high resolution real-time performance metrics and communication at all 20 of Ferguson Township’s traffic signals. Philipsburg Borough – $76,959 to make borough-wide vehicular and pedestrian improvements by enhancing sight distance, improving pavement markings, and signage. Schuylkill Township – $188,130 to upgrade and improve the existing traffic signal equipment and to add pedestrian crossing accommodations at the intersection of Route 1036 (Pothouse Road) and Route 1019 (Charlestown Road/West Bridge Street). Willistown Township – $180,000 to install fiber optics at an existing signal system from Old Lincoln Highway to Plank Avenue and to connect traffic signals along the Route 30 (Lancaster Avenue) corridor at the intersections of Lancaster & Central Avenue, Lancaster & West Central Avenue, Lancaster Avenue & Moreland Road/King Road and Lancaster Avenue & South Cedar Hollow Road to the PennDOT Traffic Management Center (TMC). Huston Township – $53,020 to upgrade the controller and replace loop sensors with a new radar detection system at the intersection of Route 255 and Route 153. City of Harrisburg – $52,569 to replace LED vehicular and pedestrian modules, backplates, improved signage and pavement markings at the intersections of 17th Street and Chestnut Street, 13th Street and Market Street, North 6th and Verbeke Street, Route 3007 (South 19th Street) and Route 3012 (Derry Street) and Berryhill Street and South 13th Street and Sycamore Street. Millersville Borough – $200,000 to install a new traffic signal at the intersection of Route 3032 (South Duke Street) and Route 3029 (West Frederick Street). Mount Pocono Borough – $41,997 to improve the existing signal equipment at the intersection of Route 940 and Oak Street/Wal-Mart Driveway by replacing LED modules, installing battery backup, and an optical pre-emption system to allow emergency vehicles safe and efficient passage through the traffic signal during an emergency. Abington Township – $264,400 to improve safety at the intersection of Route 2027 (Mt. Carmel Avenue) & North Hills Avenue by installing a channelization island on the northwest corner of the intersection, a bump-out on the southeast corner of the intersection, pavement markings within the intersection, pedestrian crossings with ADA-compliant curb ramps, and new traffic equipment including video detection and overhead street name signs. Cheltenham Township – $83,597 to improve pedestrian accommodations by installing ADA ramps, crosswalks and pedestrian signals at the intersection of Glenside Avenue & Rices Mill Road. Limerick Township – $15,594 to develop new timing plans consistent with peak school arrival, dismissal and peak commute times at the primary intersection of Route 4013 (Lewis Road) & Spring-Ford High School/Middle School. East Allen Township – $67,409 to install video detection along the approaches to the intersection of Route 329 (Nor-Bath Boulevard) and Route 3023 and the addition of a westbound advance left-turn phase to be added to the signal timings. Walnutport Borough – $24,000 to improve the existing signal at the intersection of Route 145 and Main Street by replacing LED modules and the addition of an emergency vehicle pre-emption system. $700,000 to establish a program to interconnect existing signal controllers to PennDOT’s Traffic Management Center (TMC). $275,000 to establish a program interconnect existing controllers with fiber optic cable so that communications can be established at the field devices. $525,000 to establish a program to increase pedestrian safety by improving street lighting while promoting walkability within the commercial and residential corridors of the city. $1 million to continue to improve safety by performing 30 to 50 location improvements at known crash locations. $300,000 to establish a program to integrate traffic signal controllers into the city’s Automated Traffic Management System (ATMS). Sugarcreek Borough – $59,769 to upgrade the existing 15 mph school zone signs along Route 417 (Rocky Grove Avenue) in the area of Rocky Grove Junior and Senior High Schools.